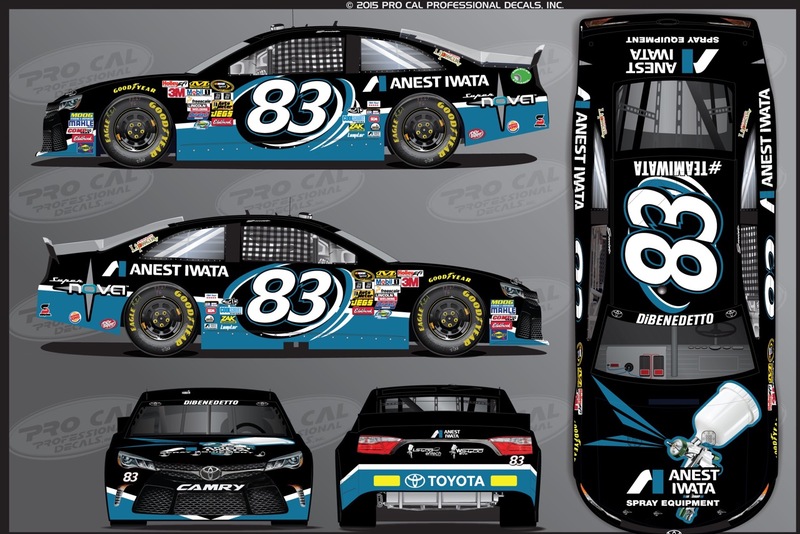 WEST CHESTER, OH – (July 8, 2015) Anest Iwata has partnered with BK Racing as a primary sponsor on Matt DiBenedetto’s No. 83 Toyota at Kentucky Speedway this weekend. Anest Iwata USA, is the North American Spray Equipment Headquarters for the Anest Iwata Corporation of Yokohama, Japan. Besides being the leading producer of spray guns in the world, Anest Iwata specializes in painting equipment, turnkey coating systems, air compressors and high-end dry vacuum pumps. In addition to being a primary sponsor this weekend, Anest Iwata joins BK Racing as an associate sponsor for the remainder of the 2015 NASCAR Sprint Cup season. “I am excited to have new colors on board my BK Racing Toyota this weekend at Kentucky Speedway,” Matt DiBenedetto commented. “Anest Iwata is a great partner of BK Racing’s, so it’s awesome to have them as a primary sponsor on my No. 83 Toyota. Make sure to stay up to date with news and information about the team through the BK Racing website, www.bkracing.com, or through social media; Twitter and Instagram @BKRacing_2383 and Facebook facebook.com/BKRacing_2383. For more information on Anest Iwata visit www.anestiwata.com, facebook.com/AnestIwataUSA, or @anest_iwata on Instagram.